London: This was supposed to be the Brexit election. 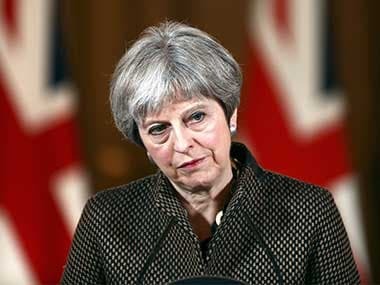 Britain's vote to leave the European Union made Theresa May the country's prime minister and is the reason the Conservative leader has called a national election after less than a year in office. But the divisive issue hasn't dominated the campaign as many in Britain had expected. Even before a bomb ripped through a concert arena in Manchester on 22 May — halting the campaign for several days and bringing security issues to the fore — voters were showing a strong desire to move on. "It's not mentioned as much as I'd thought," said Keir Starmer, Brexit spokesperson for the main opposition Labour Party, as he campaigned for re-election in a north London neighborhood. "This is much more about what sort of Britain do you want to live in, rather than Brexit." May became prime minister after the June 2016 vote for Britain to leave the EU toppled her predecessor, David Cameron. She called a snap parliamentary election for 8 June — three years early — arguing that a bigger majority for her Conservative Party will strengthen Britain's hand in Brexit negotiations with the other 27 EU nations. 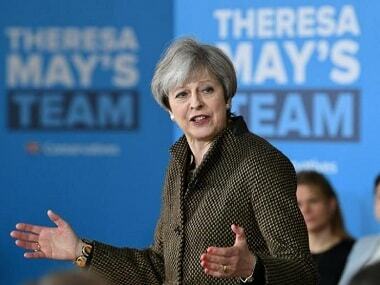 May started the campaign buoyed by polls giving her a double-digit lead over the main opposition Labour Party. But the gap has narrowed as the voters' focus has moved away from Brexit to domestic issues such as education, health care and the impact of government spending cuts. Brexit slipped onto the back burner partly because of the Manchester tragedy, which killed 22 people, wounded nearly 120 and sent waves of grief across the country. But is also the result of Conservative missteps on social policies, including a platform launch that managed to alienate older voters — usually among the party's staunchest supporters. The Conservatives proposed changing the way retirees pay for long-term care — a policy the opposition quickly labeled the "dementia tax." May was forced to make an embarrassing partial reversal, and continued to flounder when pressed about the issue Monday during a live TV interview. May is determined to put Brexit back on centre stage as the campaign enters its final week. She says she's the only political leader tough enough to face the EU in divorce talks, depicting Labour leader Jeremy Corbyn as a die-hard socialist who lacks the backbone to stand up for Britain. "I am clear about the instruction I have been given, clear about what needs to be done, and ready to get on with the job on day one — while Corbyn doesn't have the belief, the will or the plan to deliver Brexit," May told Conservative supporters in central England on Tuesday. The problem is, neither May nor her opponents can spell out what delivering Brexit really means. Will there be free trade between Britain and the bloc? 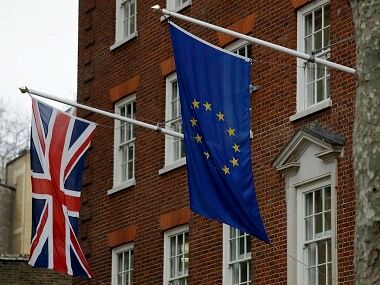 Will Britons continue to be able to live in the EU, and Europeans in the UK? 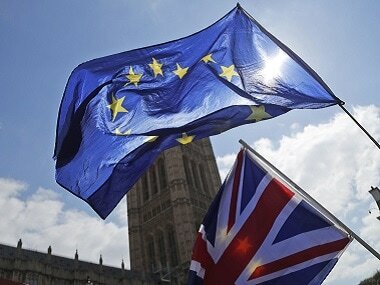 All this and more will be hammered out between Britain and the other EU nations in negotiations that begin on 19 June. "There really is only a limited amount you can say about Brexit," said Victoria Honeyman, a lecturer in politics at the University of Leeds. "It's a vague term. We don't really have any meat on the bones. It's simply a slogan at the moment." Analysts also point to voters' Brexit fatigue. 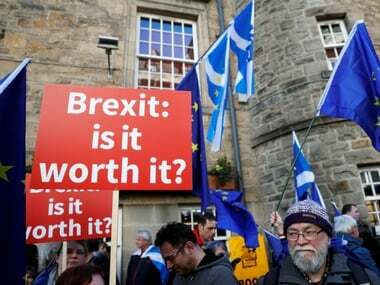 While almost half of voters — 48 percent — backed the "remain" side in last year's referendum, many have since become resigned to leaving the EU. Joe Twyman, head of political and social research at pollster YouGov, said now "fewer than a quarter of people actually think we should overturn the decision." That could explain the staunchly pro-EU Liberal Democrats' failure to breakthrough with voters, despite being the only party to call for a new Brexit referendum that could reverse the decision to leave. They have just nine seats in the 650-seat House of Commons but hoped to pick up many more by scooping up support from pro-EU voters. So far there are few signs that's happening. Meanwhile, the euroskeptic UK Independence Party, which was instrumental in pushing Britain toward the EU exit, is in a meltdown. The party's sole lawmaker has quit and returned to the Conservatives. In local elections this month, UKIP lost 145 seats on local councils and won just one, as voters who supported Brexit returned to larger parties. "We are the victims of our own success," UKIP leader Paul Nuttall said. "Among those who voted for the UK Independence Party in 2015, a plurality are now clearly defecting to Theresa May and the Conservative Party," said Matthew Goodwin, professor of politics at the University of Kent. That's one reason May is so keen to keep Brexit at the forefront of voters' minds. But for many voters, the EU divorce is a nagging worry rather than a decisive factor in the 2017 election. "It's not a big issue, but according to a lot of people, Brexit is going to affect businesses," said Jubel Ahmed, a Labour supporter in London. "Nothing has started yet and a lot of people are very concerned what's going to happen in the future."